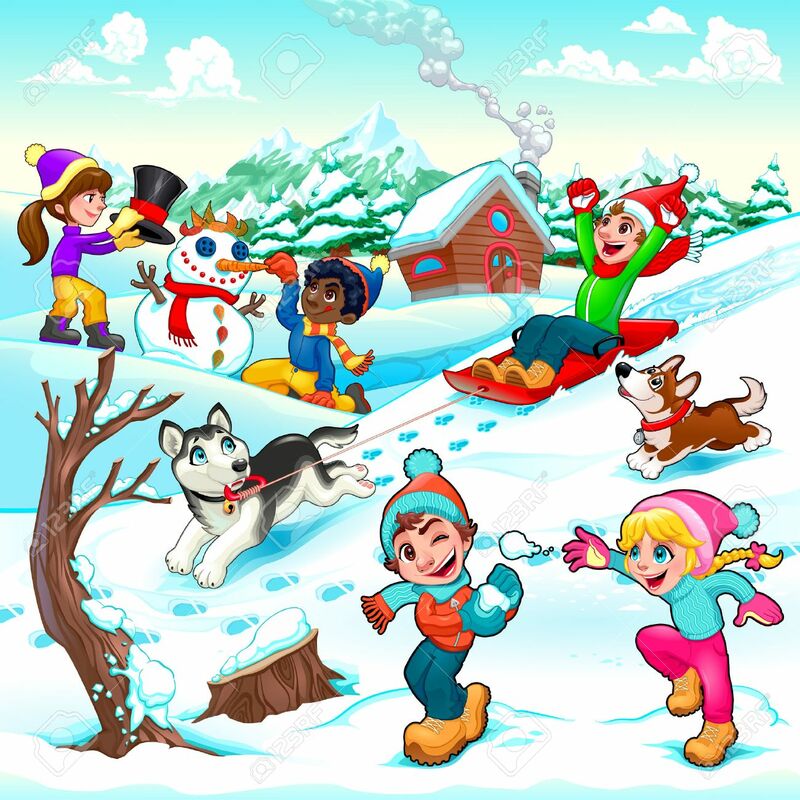 Funny Winter Scene With Children And Dogs. Cartoon Vector Illustration Royalty Free Cliparts, Vectors, And Stock Illustration. Image 48169936.